My answer, best as I can explain it, is that people confuse numbers and technology with emotional responses. 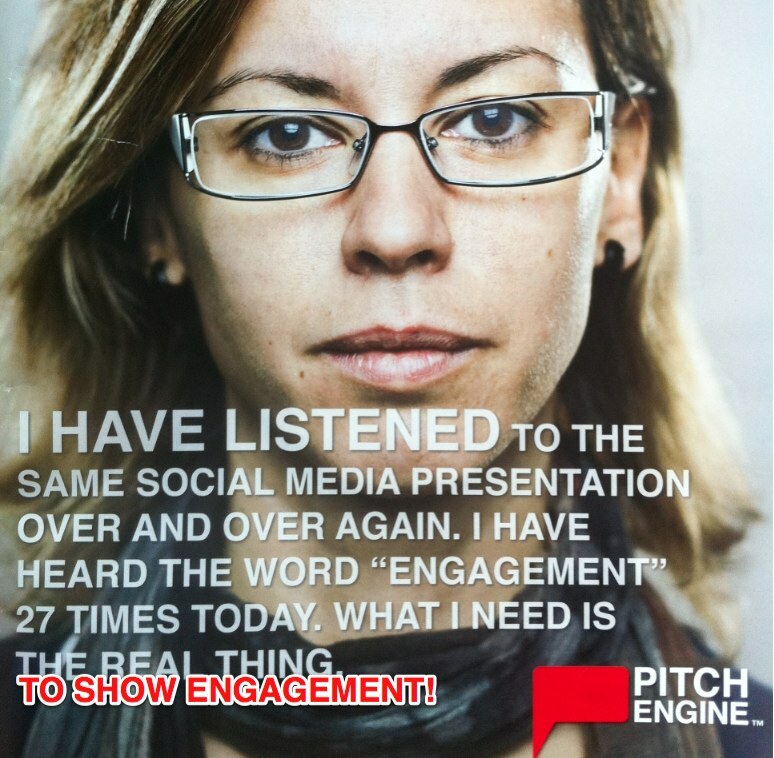 Engagement is an emotional response. There’s no real simple number or system to represent that. We don’t walk around the house measuring our significant other, unless we plan to divorce. Chris, I agree – “engagement is an emotional response” or at least “an human action”. You sometimes call it “social engagement”. And – yes – it might be hard (or maybe impossible) to translate these human behaviors into numbers. But I still think there are platforms for social engagement. There are rules to follow to be successful in social engagement, as well. And – yes – I think you’ll be able to measure some of it. I think there’s an inertia, cowardice, and prudence in the PR industry in general. And that’s pity. More of you guys, innovators, early adopters, and others, and we might get somewhere?